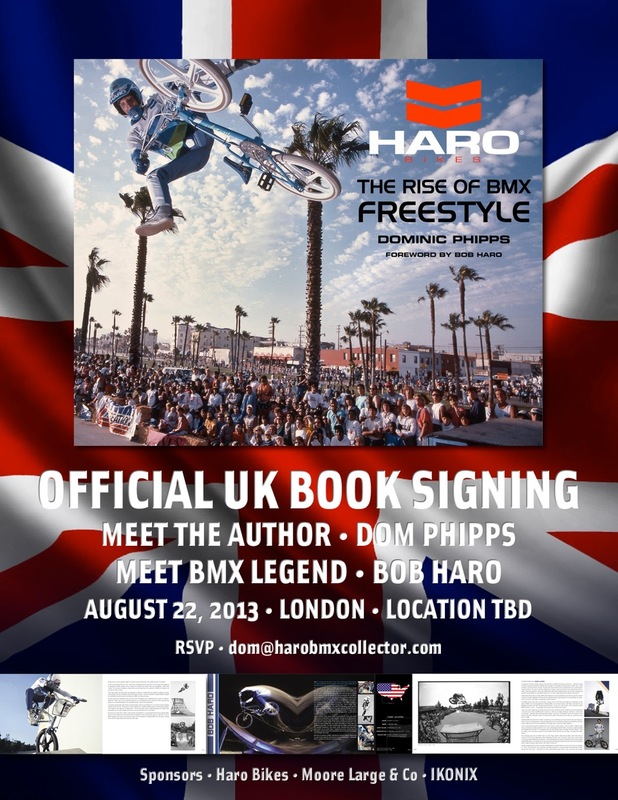 Pijin BMX: The Haro Bikes Legacy & London Book Signing! The man himself e-mailed me friday night with the heads up about this! Who is going? And this edit below it's unrelated but worth a watch! The Haro Bikes Legacy from Haro Bikes on Vimeo. We got together some past and present Haro team members to recreate the intro scene in a classic 80's Haro video. Hoffman, Wilkerson, Blyther, Dominguez and DMC are joined by the current Haro crew and we unite as one. Haro has so much history in BMX Freestyle and we respect the past and also pave the way for the future. It was so good hanging out with the old crew sharing stories from the road. This video was produced and directed by Terrell Gordy.